The newest Lunar motif. 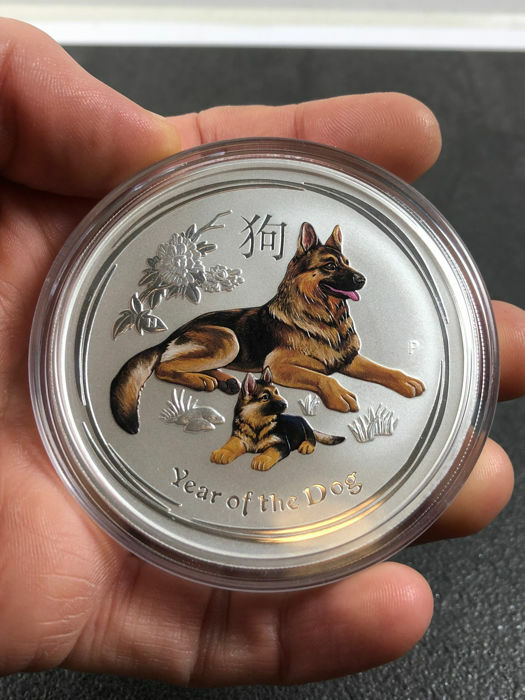 The beloved Lunar Series by the Australian Perth Mint alternates between the twelve zodiac signs of the Chinese moon calendar. 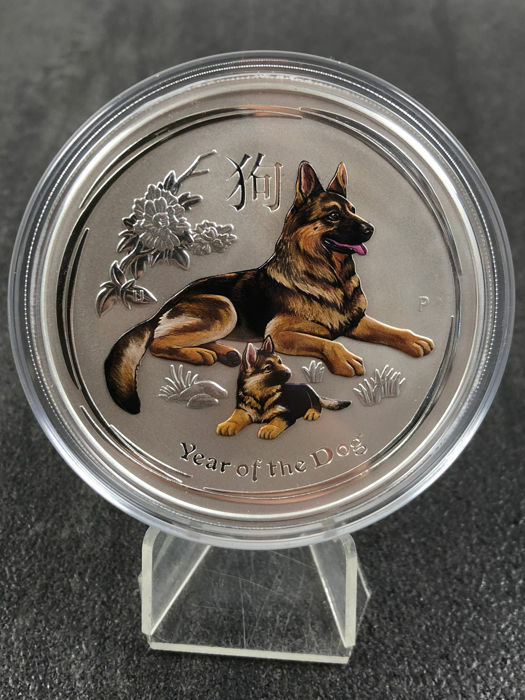 The 2018 motif is the dog once again. 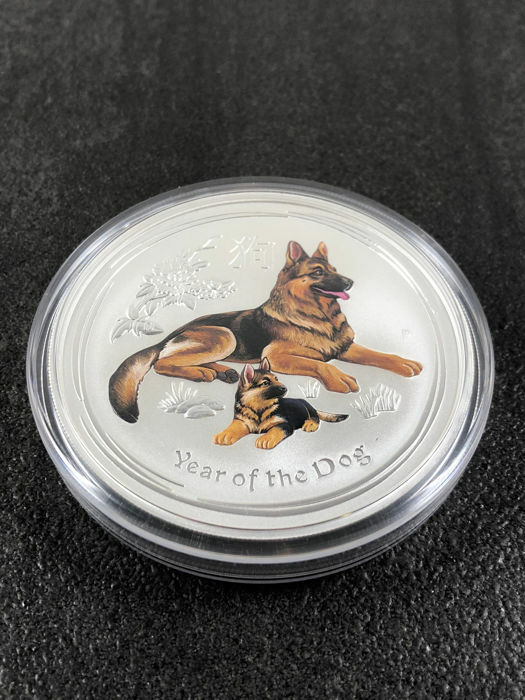 The coin is inscribed with the Chinese for dog and with the English "Year of the Dog". 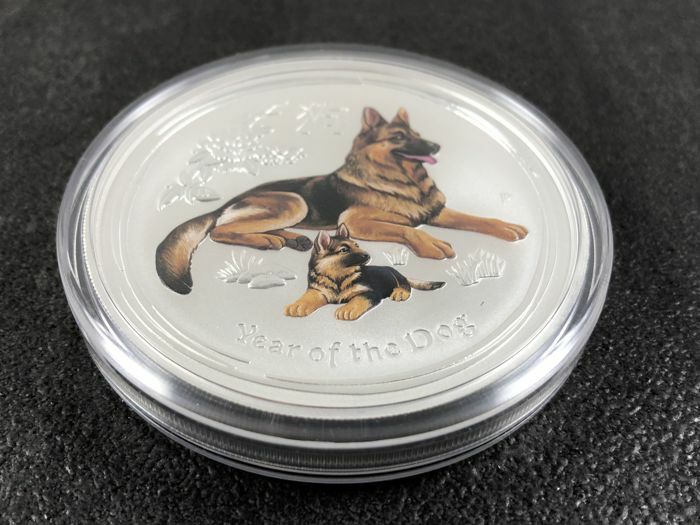 In addition to this, it has the mark "P" for the Perth Mint. 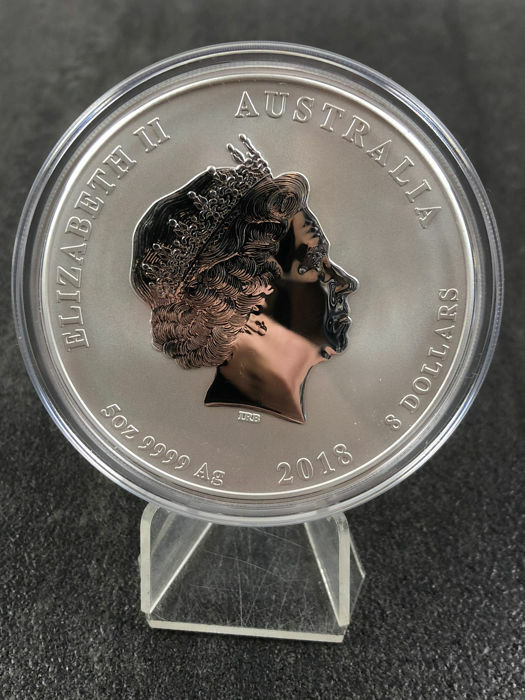 Sought-after worldwide for years and a super opportunity to invest in silver.